Christmas is around the corner! Did you finish your shopping?! Read the rest of the post at ..::DARE::..
..::DARE::.. White - Weekend Fever! 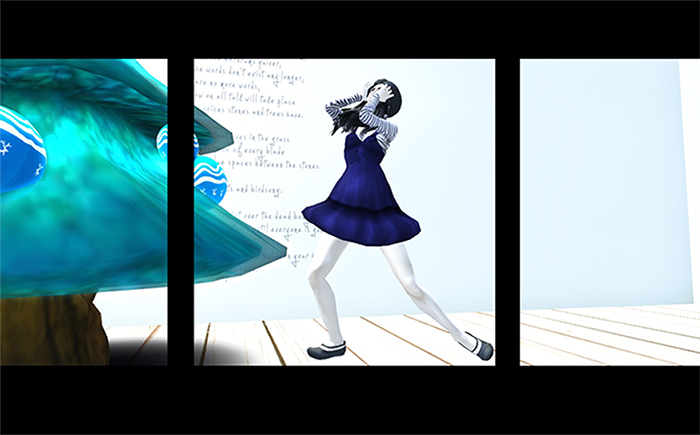 New poses available for Weekend Fever, only 50L!! Inspired by the color white, I made some fashion poses for all you fierce divas. Elegant, strong yet delicate. Enjoy! Every weekend all participating stores will have a common color theme for one or more 50L items which can be new items or marked down items from all the collections of the store. The items will be available from 12am SLT on Saturday until 11:59pm SLT on Sunday. Check out the rest of the post at my new blog..HERE! Hunt ends on Dec 5! ..::DARE::.. BLUE - Week End Fever! This week’s theme is the color BLUE, and here in my interpretation as poses. 6 airy, floaty and light poses. Great for ethereal or fairy looks or to just be one with the clouds. Only 50L! Available at my main store ..::DARE::.. When I'm not creating, I'm probably shopping. So I will have to show off some of my looks here as well. JUICYBOMB | Be Juicy, Second Life!